How to Build an E-commerce App using Serverless Technology? Serverless Architecture- the term which has been added to the technology stack, a few years ago, is becoming a common use since the launch of AWS Lambda in 2014. The evidence is- Raymond Camden, Serverless Developer Advocate quoting that serverless will become ‘less of a hot new thing’ and more of an ‘just another option’ and it is becoming a reality now. One of the main reason is that it provocatively illustrates one of the biggest headaches of the IT industry- server administration. In short, write your code and run your applications without provisioning or managing anything on server side. But is the sweet reality is good as it is promised? Well, let’s put this question on test as we build an e-commerce app based upon serverless architecture using AWS stack. Over the years, I’ve observed that many entreprises don’t know how to build such apps and ignore the massive benefits they have to offer due to insufficient knowledge. And that’s what I will be sharing with you in this post. Before we jump onto architecting the tech stack for our ecommerce app, let’s discuss some of the basic features for our MVP. The first feature that comes to your mind while you think of an ecommerce app is user pool authentication & management. The aim here is to provide seamless registration process while demanding least possible information. This consists of product catalogue which will display the product list from where users can choose the product they want to buy. This is a catalyst which can increase or decrease your sales ratio. The motive here is to provide multiple payments options with ease in process and tight layer of security. A shopping cart is an essential feature for an e-commerce app where users will be able to add product of their choices and place an order. Customer support is an inevitable feature to run a successful business. For this, you can either leave your contact details within the app or you may integrate a chatbot which will work based on instant messaging. This is the single most key feature which is sought after by ecommerce giants. Plus, it works as a catalyst for exclusive promotion and special offers. This feature tracks the status of the ordered shipment. Plus, it includes keeping the users updated by sending out SMS and email about the product delivery status. Most of the successful microservice stories starts with a monolith which scales upto a level and then breaks up into microservices. Most of the development teams who started building their system with microservices have ended up in a serious trouble. When you begin building an application, there are lot of uncertainties starting with how useful it will be for users. It may be hard to scale a system which is poorly designed but successful. However, that’s still a better option than being in the reverse situation. And hence, it is always recommended to start with a simple version or MVP and test how well it is working out. And the add new functionalities in the form of microservices. Following this advice, here’s how what our MVP should consist of. Six years ago, Walmart Canada failed on Black Fridays for two years in row. Its IT Department came across a multi-million dollar question since the aging architecture started affecting their business negatively! Monoliths might be fine for many systems but they are definitely not the best! And that’s where serverless architecture dominates the technology space. But what happened with Walmart? Well, it couldn’t handle 6 million page views per minute and made it impossible to have a positive user experience. They had an architecture which was suitable for internet of 2005, designed for desktops, laptops and monoliths. That’s when they decided to re architect their legacy system to microservice based architecture and prepare themselves for the world by 2020, where there would be 4 Billion people connected to 25+ million apps available. That was six years back. What we have now is to prepare ourselves till and beyond 2020. How? By building a serverless architecture based ecommerce mobile app! Here are few more reasons to back my claims! Everyone expects their app to be the next Amazon. But if that happens, is it prepared to handle the load? Provisioning instance is a big risk- but so is being unprepared when success strikes. With serverless architecture, sky is the limit and you don’t have to decide anything about scaling. One online program scaled to 50,000 users within six months without provisioning sny servers. Serverless technology saves money in terms of compute power and man power both. First, you save by deleting all together your infrastructure management staff and secondly, you pay only when your servers are running. No extra cost for idle time! If your competitor got it first, you lose! That’s a simple economy of consumer market. Serverless architecture allow developers to add new functionalities in hours and days instead of weeks and months. Few examples consist of apps that rely on third-party APIs for services like authentication (0Auth), social (Twitter), map (Mapbox), AI (IBM Watson) and more. 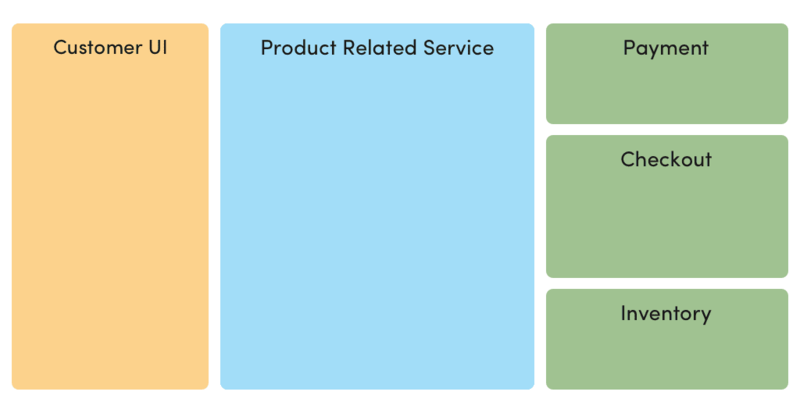 Before we move further adding new functionalities to our MVP, let us understand what makes a good microservice. One of the key feature of what good microservices consists of is loose coupling. What this means is, a change in one service should not require change in another. Because that’s the whole point of microservice, being able to change one service without needing to change anything to the other one. For example, payment service and cart management should be developed as a separate service so that both can be scaled and maintained independently. Apart from this, one service should know minimum things about the other services it is communicating with. This suggests to keep the number calls with different type of services to minimum. If this fails, we will land up with potential performance problems on the top of tight coupling. The second key feature of a good microservice is high cohesion. This means to group microservices based on the similar behaviour. Why this? Because if we want to change one behavior, we want to do it as fast as we can without having to change behaviour of any other region. If it requires to make changes in lots of different places and making lots of services, it is not only slower but potentially risky! And that’s what we want to avoid at all. And hence, this recommends to define fine boundaries within your architecture which ensures that similar behaviour resides in one place while it couples with other boundaries as loosely as possible. 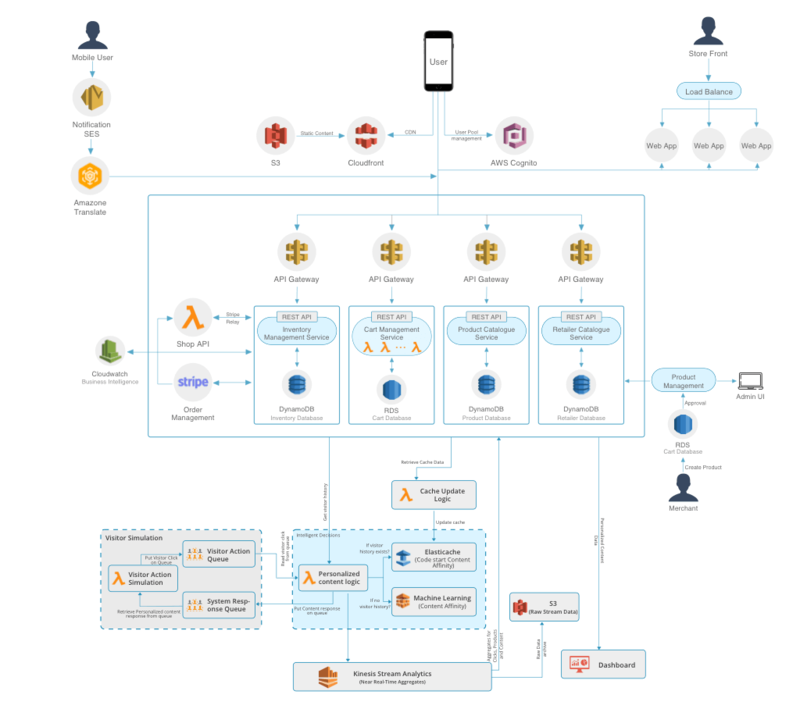 We are developing a complex microservice architecture for a complex application which is going to be a set of loosely coupled bounded context i.e. business capabilities. Microservices provides huge benefits but these benefits can be achieved only after a careful functional decomposition of the application into bounded contexts. The idea here is that any given application consists of multiple bounded contexts which can be defined as “a specific responsibility enforced by explicit boundaries” and consists of things which do not need to be communicated externally with other bounded contexts. How to decompose an application into business capabilities? Considering our case of a serverless ecommerce app, we are trying to introduce a customer-centric services in order to meet our business goals of customer retention. Ecommerce is an inherently complex business domain. There are interrelationships among entities like users, products, reviews, payment, tracking, etc. But where do you start? Following the Domain-driven Design (DDD) approach, we can first start by breaking the ecommerce domain down into sub domains. As a starting point, we can define our business units corresponding to technical domain. User Management: This is responsible for user authentication and management through social gateways, manual authentication, email verification and mobile number verification. Content Management: This is responsible for search bar, navigation and translation services. Product Catalog: This is responsible for product details, product images and product reviews. Customer Management: This is responsible for catering facilities like personal subscriptions, saved payment methods, address verification, ship orders, customer credits and loyalty programmes. Cart Management: This is responsible for shopping cart management, quick order and check out. Payment Management: This is responsible for processing payment and fraud tracking. Inventory Management: This is responsible for keep tracking of back orders and pre-orders. Track Management: This is responsible for keep track of shipment and notifying of orders via push notifications, SMS and email. Reporting Management: This is responsible for web analytics, business intelligence, product sales reports and many more. Marketing Engine: This is responsible for personalised marketing and management of recommend products. Remember the MVP that we built earlier? It will give us a starting point to think about how to classify the services which are required to build a full fledged serverless ecommerce application. The Application Frontend and Product Catalog subdomains are highlighted, since they are integral part of the solution. Furthering with our DDD approach, we’ll define more bounded contexts that emerge from these subdomains. Within Customer UI part, two distinct bounded contexts come into play. The web and the mobile application frontend shares a common language between each other. We will call these context “Web App” & “Mobile App”. 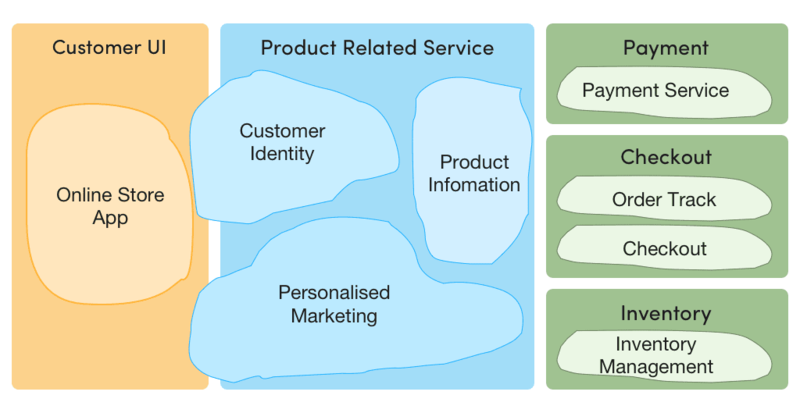 Product Related Services is even more divided. Product information- containing the core information and images about products- forms a Product Information bounded context. Another distinct bounded context that emerges from this domain is Personalised Marketing which communicated directly with customers. Lastly, there is a Customer Identity context focused exclusively on user security and access control. The payment subdomain dissolved into Payment Service bounded context which handles payment process, financial security and fraud tracking. Checkout domain breaks down into Checkout & Order Tracking bounded context. Lastly, inventory domain dissolves into Inventory Management bounded context. Now that we have established the bounded contexts, we can now think about what services will make sense from the user/customer perspective. As mentioned earlier, Application Frontend part has two distinct services: Mobile App & Web App. The Customer Identity context should provide Customer Authentication service in order to ensure that only authorised user are being able to access our services. Plus, Customer Management which will handle personal subscriptions, saved payment methods, address verification, customer credits and loyalty programmes. The Product Information context will take care of product catalog, product images. This will also handle product reviews. This task will be cross-referenced and will be supplied customer identity from Customer Authentication services. The Personalised Marketing service will handle recommending products as per customer’s previous choice, preferences and purchases. It will also handle the content management service which will include navigation and translational services. For the Payment domain, we will only refer to a single eponymous service per bounded context. The Order Tracking & Checkout will house two distinct services, first Track management which will keep track of shipment and notifying of orders via push notifications, SMS and email and secondly, Cart management which handle quick order and checkout. Lastly, the Inventory domain will house Inventory management which will keep track of orders and pre-orders. And, reporting service which will be responsible for generating various reports and monitoring. Do not assume that all these services and interactions will take place in real time while servicing the end user activity. Few services will need information from a few other services, an event-based approach combined with caching could be used to ensure that its processing is self-contained in order to cater user’s request in real time. Now that we have built our individual microservices, it is time now to figure out our tools. All these services can leverage service discovery and will use simple mechanisms (such as HTTP) for easy connectivity from a wide variety of devices. Considering the granularity level of serverless functions, we will depict three main portions up to the serverless level viz. 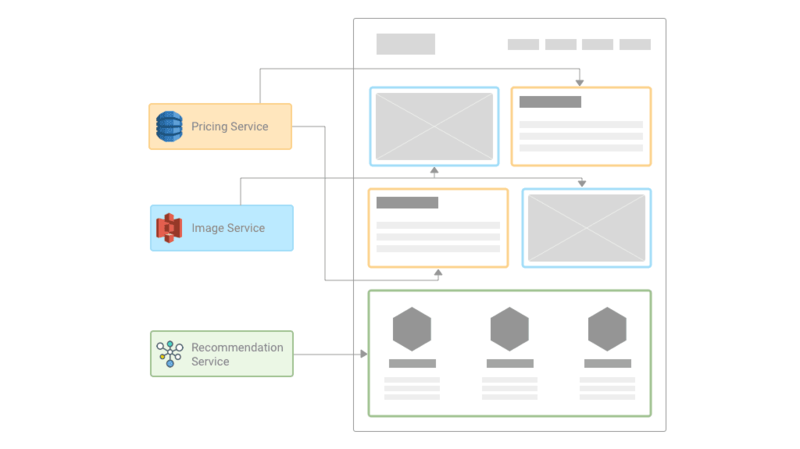 Recommendation Engine, Cart Management and Payment Service. For the simplicity of representation, rest of the application will be discussed up to the microservice level. Maintaining an e-commerce application with a heavy product catalogue is challenging. The catalogue should be searchable, and individual product pages should contain rich information including product images, pricing and reviews. Here customers may want to find things they are interested in and expects pages to load quickly. Also, customers expect the ‘Quick Checkout” functionality to be able to make purchases any time they want. The customer-facing user experience in you in your ecommerce workloads includes responsive web applications and optionally as native mobile applications. In combination with the backend architecture, you build your application by assembling multiple frontend components that correspond to and communicate with functions through backend APIs. Here’s an example of how frontend of our serverless ecommerce app will work. The picture shows the Product Catalogue management microservice which will use Amazon Simple Storage Service. This will accommodate all static content, such as product images, manuals and videos. The main benefit of hosting website on S3 is that it can be replicated to multiple regions of AWS. Amazon DynamoDB will accommodate persistent session data such as shopping cart and product pricing details. Since it is a NoSQL database, we have the flexibility to add new product categories and new attributes to our catalog. We will use Amazon API Gateway for the frontend to access the backend features and compute these functionalities either as microservice or functions (whichever we have chosen). One important reason for using multiple API Gateways is to avoid creating a single monolithic API Gateway as we scale at a higher level. More to that, single API Gateway will the autonomy provided by the microservices architecture. The DNS requests to the e-commerce app will be handled by highly avaiable Amazon Route 53. While Amazon CloudFront is used as our content distribution network. It will cache static and streaming content with low latency from locations close to the customer. Amazon Elasticache will be used as a session store for volatile data and as a caching layer for the product catalogue to reduce input/output and cost over DynamoDB. The Product Catalogue will be fully loaded into Amazon CloudSearch which will provide full search functionality to the customers. Amazon Translate will be used for facilitating out app in multiple languages. For sending transactional email, such as order confirmation, to the customer, we will Amazon SES. This can be easily added with the help of AWS SDKs. As discussed earlier, we will use functions for three main services- payments, cart management and Recommendation Engine. Rest of the microservices will be hosted on EC2 Instances while Elastic Beanstalk will automatically handle the details of provisioning, load balancing, auto scaling and application health monitoring. ADD (Function 1): This will be triggered when a user adds a product into their cart. DELETE (Function 2): This will be triggered when a user deletes a product from their cart. QUANTITY(Function 3): Whenever number of product quantities will be updated, this function will be triggered. UPDATE (Function 4): This function will be running at a set interval of time to make sure that the products added in the cart are available in the warehouse. If not, it will automatically delete them. CHECK OUT (Function 5): Once the order is confirmed, this function will be triggered which will initiate the payment procedure. Once the user creates an order, the app will provide order details to Stripe. After confirming the product availability in the Inventory (DynamoDB), Stripe confirms the order and returns with the order total to the user. Once the order is confirmed, an AWS Lambda function will be triggered which will load Stripe Checkout over a secured HTTPS url. Once the user provides the payment details, Stripe indicate the payment result to the user. From the user’s browser, Stripe securely collects the user’s payment details and returns a representative token which is then submitted by the browser to the app’s server. Once the request is submitted, an API request is sent which triggers a Lambda function which will create a charge and complete the payment. Step 2: Once a token is create, your server-side code will trigger a Lambda function through API Gateway to create one time charge. This request contains the token, currency, amount to charge and any additional information you want to pass. Tokens can be only used once and everytime the user purchases something, he/she will have to re-enter the details. However, Stripe allows multiple payment solutions like saving the card details, payment through bank, refunds and much more. You may check out their documentation here for adding further functionalities to your payment mechanism. The main aim of developing a recommendation engine is to facilitate each user with content based on unique interests of each visitor to boost user engagement and improve user conversion, lifetime value and retention. Actions: This will include user clicks, visited products and products categories. This will help in constructing an accurate model and make better content recommendation. Behaviours: This will include users’ past preferences and information from which predictive models will learn more about their preferences. Demographic Information: This will include user specific information such as gender, age, etc. which will help in prediction as users with similar background tends to have similar choices. The recommendation engine uses AWS Lambda for processing users’ actions as mentioned above. It extracts events from multiple sources. As soon as the event occurs, it triggers a specific Lambda function attached to it which process the event further. Once the event is processed, it checks for users’ history in DynamoDB which is used to store aggregated data of clicks by user, product and preferences as well as user profile information. If the users’ history exists, machine learning through predictive analysis, determines the content affinity scores and passes the information to Kinesis Stream. * Content affinity scores are used with the personalised logic to determine the most relevant content to present to the user. ElastiCache is used to store pre-computed cold-start content affinity scores. This stores the logic for the users who have no history, means they are visiting for the first time. While Machine Learning helps us in easily designing, test, operationalize and manage predictive analysis solutions due to its API driven architecture. Once the events are processed, they are fed to Kinesis Stream which aggregates clicks in near real-time by user, product choices, preferences and demographic information to write to DynamoDB. It also archives the raw click-stream data to S3. Since microservices are architectured with ‘Database per Service’ philosophy, maintaining the data consistency is highly critical. Especially considering our case of ecommerce app, there are going to be multiple services that need to ensure data consistency across services. When you’re working with microservices, things are quite complicated. Since microservices has its own database, you can no longer use two-phase-commits to have database consistency across your system. Let’s take an example: whenever a user places an order, charging the customer, sending the confirmation, updating the stock and sending it out to delivery doesn’t happen in a single ACID transaction. To execute the above scenario, you’ll be required to create a distributed transaction. Well, we will implement each business transaction that spans across multiple services as a Saga. Saga can be defined as a sequence of local database transaction updates the data within each service database. The first trigger will be an external one while the subsequent triggers will be initiated by the completion of the preceding service. 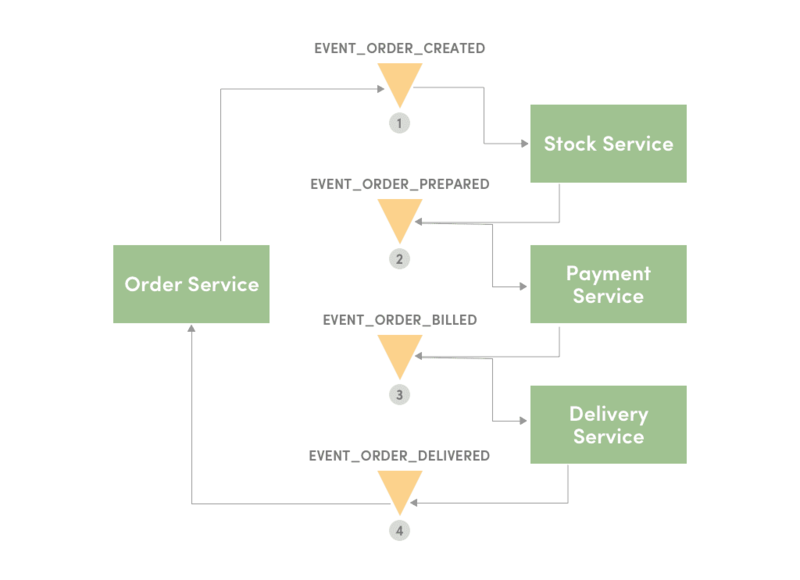 For implementing a saga transaction, we will you the method of events/orchestration. In this method, there is absence of central coordination. The first service initiates a transaction and then publishes an event. Further, this event is listed by the nxt service which executed a local transaction and publish an event, depending upon the requirement. At the end, order service, which initiated this transaction, listen to EVENT_ORDER_DELIVERED and concludes the order state as finished. If at all, during this transaction, a business rule is violated, then the saga executes a series of compensating transactions to undo any preceding changes. Here’s an example, what if payment fails? 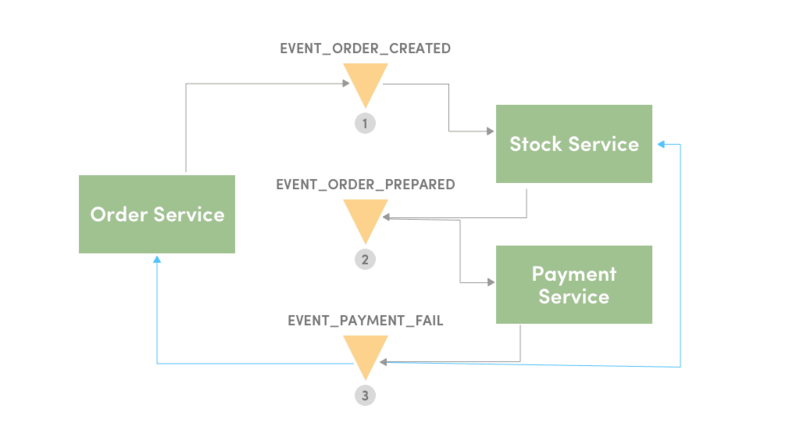 The preceding event- EVENT_ORDER_PREPARED and EVENT_ORDER_CREATED listens to this and terminates the created order. 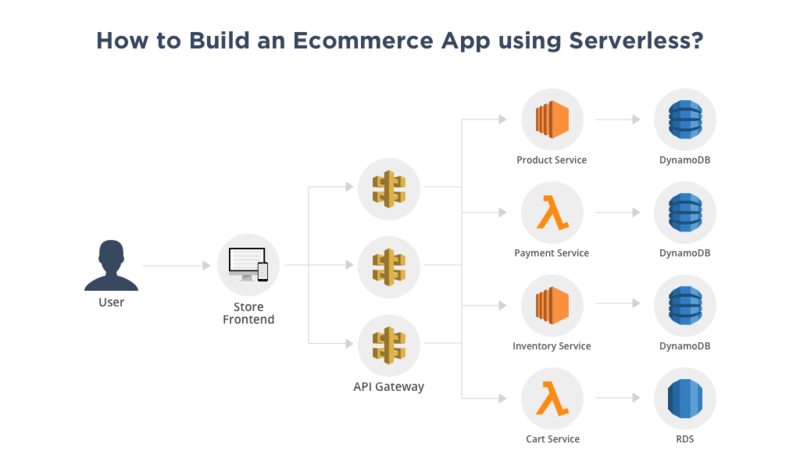 The flexibility, independent scalability, event-driven nature and strong encapsulation in serverless architecture makes it a perfect choice for building an e-commerce application. But a successful implementation of serverless for e-commerce app will require a minimum level of expertise and maturity in terms of function observability, monitoring and automation.